Welcome to Best Western Plus Houston I-45 North Inn & Suites! Guests love the newest addition to the North Houston District! 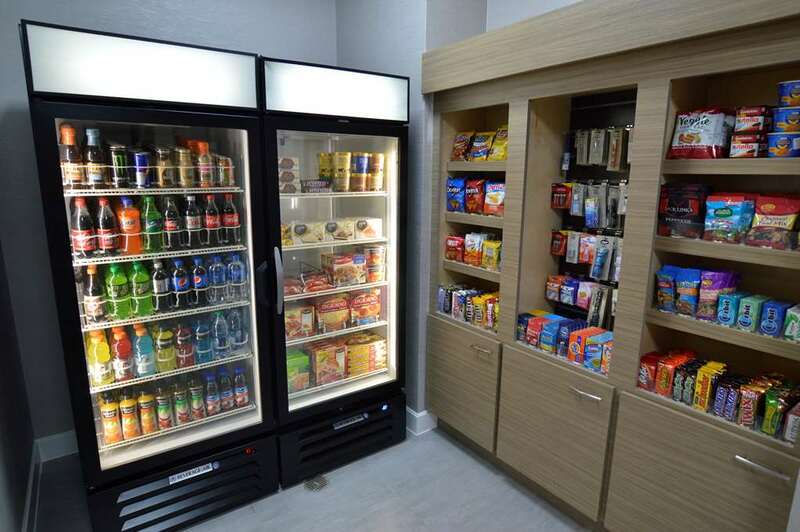 The brand new Best Western Plus in the North Houston District provides guests of the greater Houston area the latest trends that the hotel industry has to offer. Best Western Plus is conveniently located near I-45 and North Sam Houston Toll Way and provides guest easy access to navigate Houston's major airports and highways to be able to get around during your travels. Looking for some fun family activities? Enjoy some nearby attractions like the Sam Houston Race Park, Wetn Wild Splash Town, Top Golf, Old Town Spring with plenty of shops. Here for business? We are also located near numerous businesses like Baker Hughes, Sysco , McLane Company, Inc., ExxonMobil, Exterran , Halliburton, Nabors Drilling and many more. Either way, all our guests are able enjoy our spacious smoke-free rooms. We provide our guests with the latest technologies in our 24-hour business center, scrumptious complimentary full hot breakfast, and crystal clear pool and lounge area. For our more active guests we provide them with a fitness room filled with the latest fitness equipment. We love our guests, and want to make sure that we provide them with all the comforts of home while away. Our goal is to make our guests feel like the Best Western Plus Houston I-45 North Inn & Suites is your home away from home. Our southern hospitality paired with our convenient location makes the Best Western Plus the best that Houston has to offer. So on your next visit, stop by and stay a while, we will make you feel family. From: George Bush Intercontinental Airport. Take Beltway 8 toward downtown. Take 45 South toward downtown. Take first Exit 59 West Road. Turn right on Greens Landing Drive. The Best Western Plus Houston I-45 North Inn & Suites is just ahead. From: Woodlands. Take 45 South toward downtown Houston. Take Exit 59 West Road. Turn right on Green Landing Drive. The Best Western Plus Houston I-45 North Inn & Suites is just ahead. From: Downtown Houston. Take 45 North toward Dallas. Take Exit 59 West Road. Turn left at the traffic light. Turn right on Winding Bayou Trail. The Best Western Plus Houston I-45 North Inn & Suites is just ahead. Cancel by 16:00:01 hotel time. Due to seasonal variations, most accurate cancel policy returned upon booking. INTERNATIONAL: Max 3 rooms per reservation. Max 3 persons per room only if a rollaway is available. DOMESTIC: Max 5 rooms per reservation. Max 5 persons per room only if rollaway is available. Golf - Executive/club floors/VIP services. Enjoy the Perks! We want to say thank you for being a part of Best Western Rewards. All Diamond Select, Diamond, Platinum & Gold members have a choice of a welcome gift bag or 500 bonus points! Pool - Outdoor pool , open 6:00 a.m. to 10:00 p.m.
1 block(s) from McLane Company, Inc., is one of the largest supply chain services leaders, providing grocery and foodservice supply chain solutions for convenience stores, mass merchants, drug stores and chain restaurants throughout the United States.